This is a question I get asked A LOT by first timers who are thinking about buying their first caravan. And why wouldn’t they ask? When you buy new car you want to know how much the annual road tax charge is, how many miles per gallon it does, etc. Caravans are no different from any other enjoyable asset, there are costs attached. It is important you consider what these costs are and how much they are before deciding on a budget. I’ve made a list of every cost I could think of. Not all of them are 100% necessary, it all comes down to your personal preference. Servicing (£200-£400 per year) – If you want to ensure the safety and integrity of your caravan you’ll have it serviced annually, on or around the anniversary of purchase. 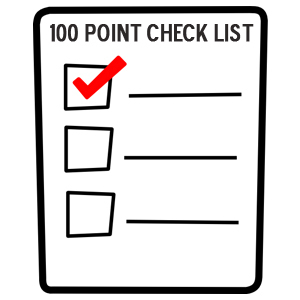 £200-£400 is the average range of service prices from service centers across the country. Single axle caravans cost less to service than twin axle caravans (hence the vast range). Service costs can also vary based on the brand and age caravan you buy too, so keep that in mind. Insurance (£150-£500 per year) – Chances are you will end up spending thousands of pounds buying your caravan. It goes without saying that you will want to protect your asset with an insurance policy. The price ranges quite dramatically. Your insurance premium is dependent on many facts such as; specification of caravan, valuables stored inside, storage location, security features, among many others. I wrote a post about how to save money of your caravan insurance that you may find useful too. Storage (£200-£700 per year) – Storage is not a cost that everyone incurs. If you have space at home to store a caravan then you can save on this cost. If not, then you’ll have to find somewhere to keep it. Again, the price ranges quite a lot depending upon where you store it. As a rule of thumb, the more secure a site is, the more it’ll cost you to store your caravan there. CaSSOA accredited storage sites are generally more expensive, but they carry the benefit of being more secure and can help to secure a discount on your insurance premium. Tow bar (£150-£1,500 one off) – If you are buying a caravan you are going to need a tow vehicle. Your tow vehicle is going to need a tow bar. If it has one, great – you save yourself some dough! If not, you’ll need to get one fitted. Prices range depending upon the make and model of the vehicle and where you get it fitted. If your car is still under manufacturer’r warranty you will probably want a main dealer to fit a tow bar (so as not to void your warranty). Main dealer tow bar prices are nearer the higher end of the price range. However, if you get a local tow bar fitted to fit a decent Witter tow bar you could be looking at anything from £150 upwards. And there you have it! 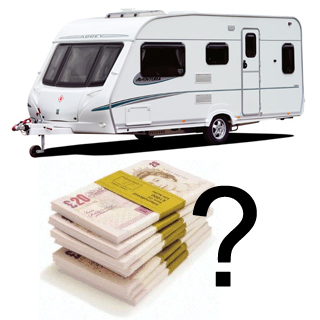 A list of the recurring (and 1 one off) costs involved in owning a caravan. I hope you found this useful. Can you think of any other costs? Let me know in the comment section below. Many thanks Josh, I am looking at a twin axle today, a 2007 Lunar Freelander Price £9599, I have absolutely no idea if this is reasonable or not. But your website will prove to be very useful over the next three years, as i am taking time out from house owning and touring the country for approx three years. Thank you for this; very useful as we are currently considering buying our first caravan and had no idea. Add Caravan Club (or similar) membership. About £50. Autoroute toils-almost double of car solo. 20p a mile. Just about doubles cost of fuel. Site fees, say fifty nights. Up to £30 a night = £1,500. I sold the van last year- after 48 years touring holidays. Enjoyed almost all of it. Congestion and having to book in advance spolied it for me.
. Reckon I have about £2,000 to spend on other pleasures.